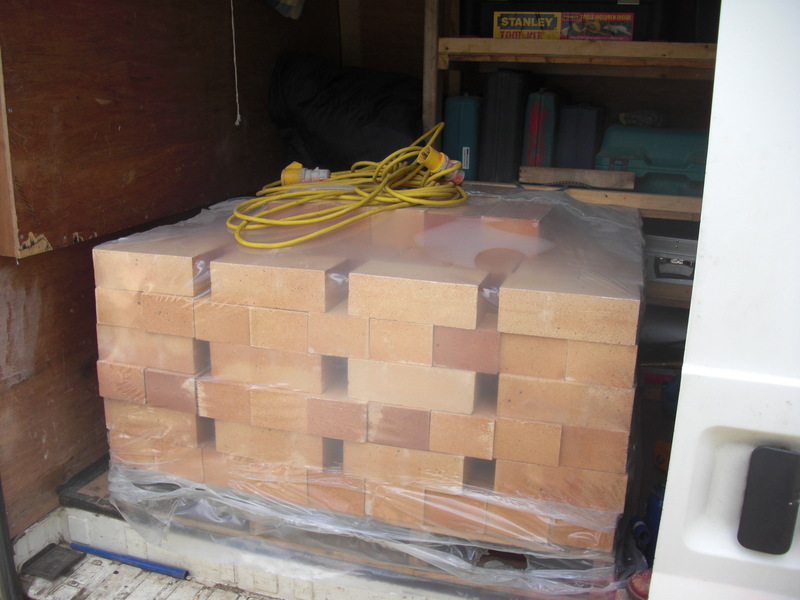 On Wednesday I had a ride down to Sheffield to pick up the fire bricks, a 200 mile round trip without leaving Yorkshire. They look great from here! How big is this oven you are building Joe?